Have you ever wondered why the Thai people are famous for their smiles? Well, partly, they will attribute their gorgeous pearly whites to the skilled dentistry within the country. As someone who lives in Chiang Mai, I can attest to the quality of workmanship and economic value of the dentists here. In fact, my local bar and restaurant is opposite a popular dental office and at least once a fortnight I meet Australians who have come over for some dental work and throw in a holiday to boot. My first experience here at a dentist certainly made an impression. I went in for a clean and a check-up. This place was just an ordinary small dentist office and pretty much representative of those found throughout the country. But as a person new to the experience, I have to admit I was amazed. Sparkling white floor tiles glistened with clinical sterility. The dentist chair was top of the range, featuring electronic manoeuvrability that reminded me of a captain’s chair from Star Trek. Stainless steel equipment reinforced that this was not some second-rate, developing-nation operation. 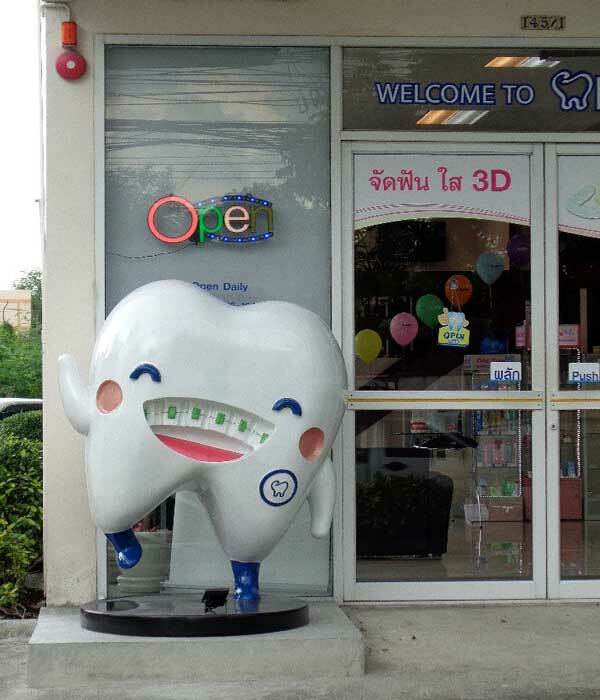 The dentistry in Thailand is completely state of the art. 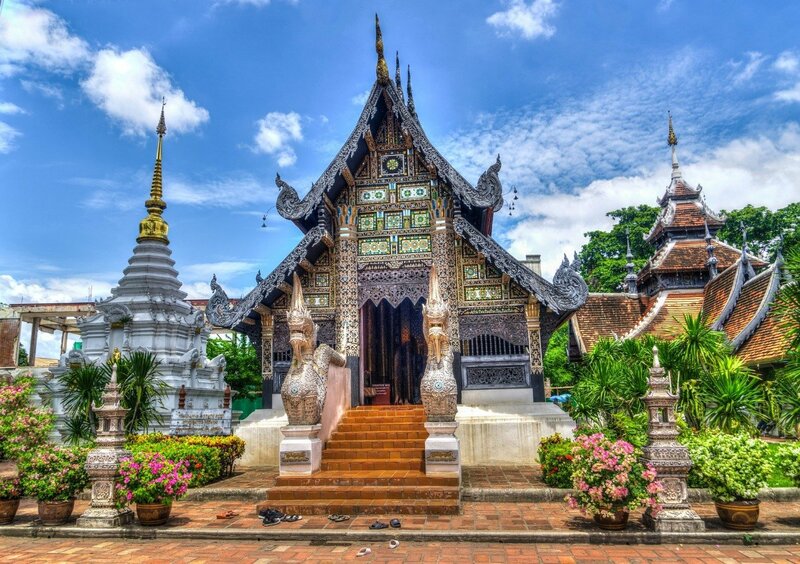 What’s more, Thai culture is a very gentle culture, which means that so are the dentists. As the dentist was cleaning my teeth, she noticed a small cavity. She showed me in a mirror and as she gently pushed the metallic instrument into the hole, I could see it was deep. Concerned that it may need root canal treatment (yes, the words that instil terror into the toughest of people), she quickly took an X-ray in the room right next door. I didn’t want a root canal and she said it was a borderline case. She agreed to just do a filling and insisted that I come back immediately if I was in any pain. My filling was complete and my teeth were fresh and clean, in what seemed like a flurry of efficient productivity. Although the dentists do speak English, their accents can be a minor challenge. I recall my dentist putting something between my teeth and calling for me to ‘bie bie’ with a firm voice. As I had never had a filling before, I had no idea what was going on. But with the good-humoured grace of pantomime, whereby my dentist waved her arms and pulled exaggerated expressions, I realised that I had to bite. Apart from that moment, I had no issue understanding what she was telling me. My generationally inherited fear of dentists had vanished. The X-ray, clean and filling cost me $69 two years ago and what an investment that was. I have chomped through many meals happily and have never needed the root canal. There really are three levels of dentistry in Thailand. There are small clinical offices, with one or two dentists, which are littered all around the cities. These dentists may only be able to perform simple fillings and will refer you on to other clinics if you need more complicated work done. They are cheap and fantastic. My 16-year-old son had to have a tooth extracted by a young dentist in a small clinic. She did it with kindness and compassion and the bill was only $22. Sometimes walk-in customers can be admitted, but usually appointments are necessary. 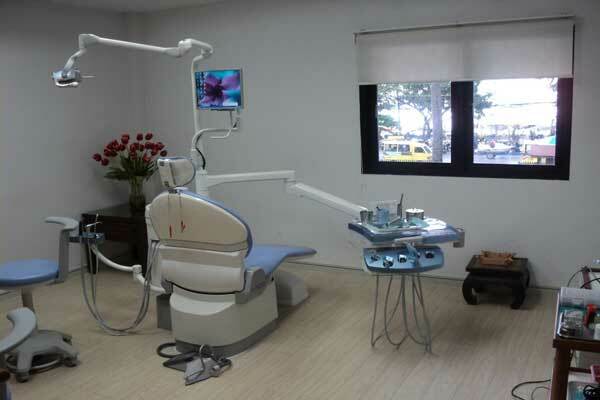 There are bigger clinics that seem to dominate the dental tourism market. They have large, modern buildings with multiple dentists. They are all fantastic and have all the resources to deal with any dental issue. The prices vary from clinic to clinic, so it pays to do some research before you commit to any procedure. Bookings are necessary. Some international hospitals also have dental clinics. These can be a little more expensive, but the dentists who work in them are extremely experienced and highly competent. They also tend to have specialists who work on specific things. For example, if you need root canal therapy and a crown, one dentist will do the root canal and then the crown specialist will do the crown. Although the dentists at the hospitals are still cheap compared to Australian prices, they are often double the price of other dentists in the clinics. The English spoken by the dentists in the private hospital clinics is outstanding, and bookings are necessary. Don’t be surprised if there is a waiting list, as it can take up to three weeks to get into these more ‘prestigious’ places. Just so you can think about it a little more, I have researched the average prices for a selection of common procedures. I’ll leave it up to you to do the maths. Apart from asking local expats for recommendations, most dental clinics have websites, with prices and lots of testimonials. If you are coming from Australia for the purpose of dental tourism, make sure you ask how long the procedure will take, as some things, like implants for instance, are done in stages over months.